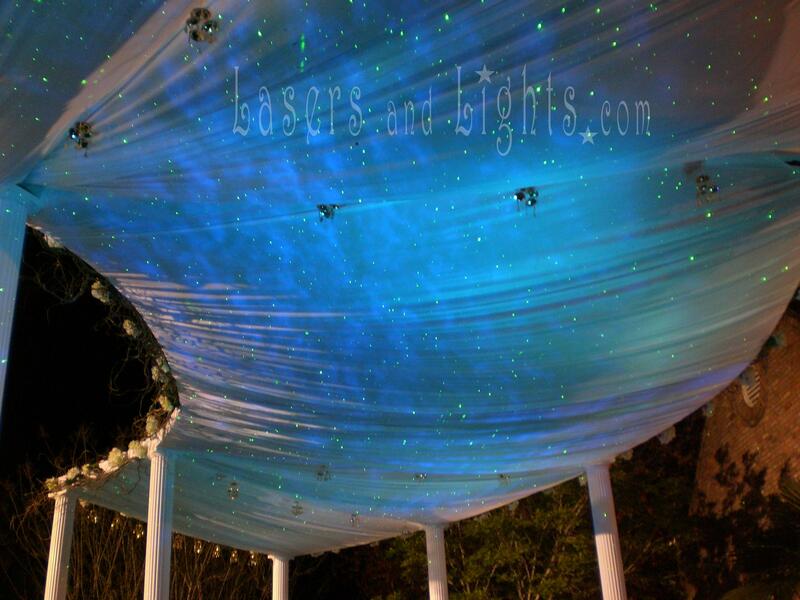 Brides and wedding planners are anxious to make a heavenly setting for their ceremony and reception so the starry night sky lighting effects from the BlissLights Laser Starfield Projectors are the perfect solution. 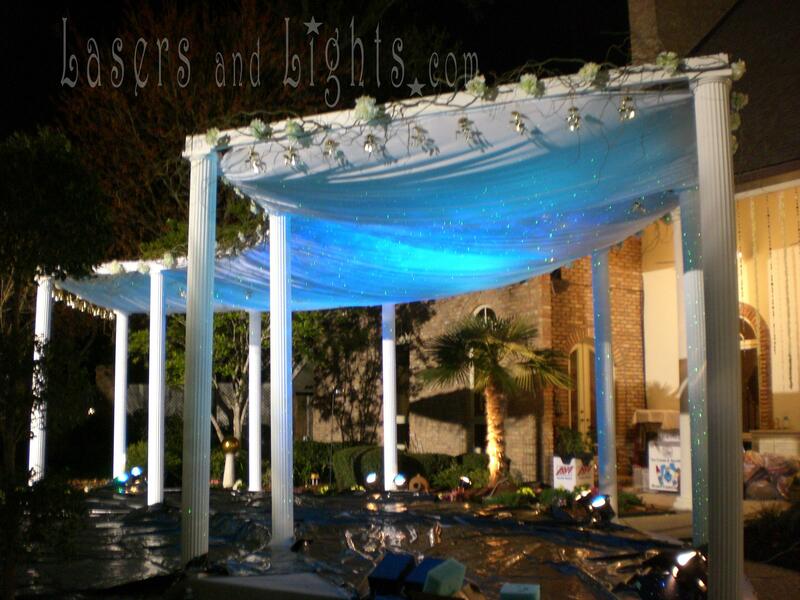 We offer our most popular projectors as rentals or you can purchase them to decorate your home after the event. 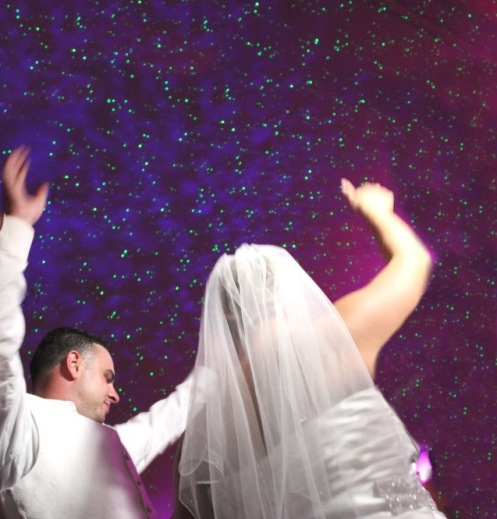 Many wedding photographers take advantage of our Laser Starfield Projectors after the ceremony for photo sessions with the Bride and Bridesmaids and the Reception party for special effects photos for lifetime memories like these. 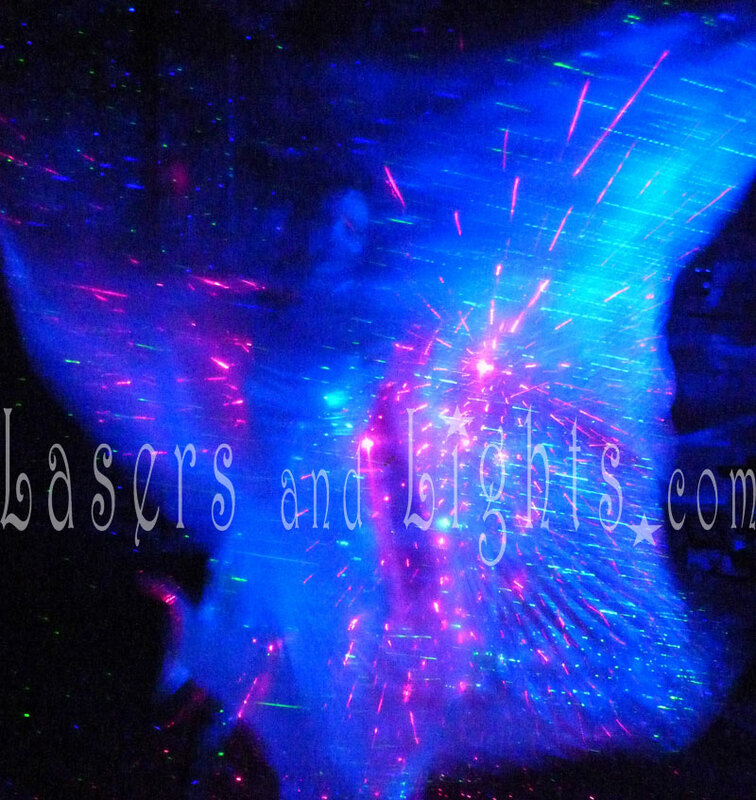 White is the perfect color for making the lasers effects stunningly bright.